Running Press Kids, 9780762453382, 32pp. It is a cold and rainy evening when Gran gives her granddaughter something special: tickets to the ballet. Her granddaughter is reluctant to go. The weather is terrible and they have to wear fancy, uncomfortable clothes. But as the curtains rise on The Nutcracker, the girl's eyes light up as she's introduced to the magic of the theater. The bright costumes, the intricate dances, the magical music, and a new friend all combine to captivate the girl and to bring color to an otherwise dreary evening. 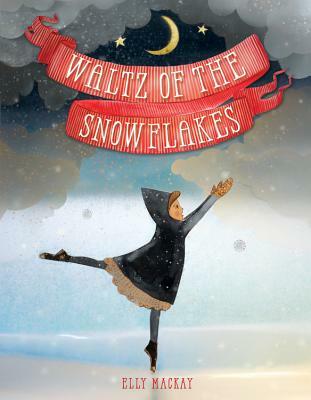 Waltz of the Snowflakes is Elly MacKay at her finest, mixing her acclaimed paper-cut artwork with vibrant colors in this whimsical, dreamlike, and inspiring wordless picture book. A must-have for any ballet- and theater-obsessed reader and the perfect gift to be shared during the holidays or any time of year when the world outside needs a little bit of color and vibrancy. Elly MacKay was dressed up in fancy clothes and taken to the ballet at the age of seven. She has looked at ballet and theater as special treats ever since. Elly is the creator of Butterfly Park, If You Hold a Seed, and Shadow Chasers. Her artwork is recognized worldwide and sold online. Elly lives by Georgian Bay in Ontario, Canada, with her husband and children. "Dancers-to-be will ask for encores of this enchanting book."